The Nagasaki Electric Tramway is a private tram (streetcar) system running on public streets in Nagasaki, on the island of Kyushu. I don’t know about you, but I’m a sucker for travelling by tram – wherever in the world I happen to be. Not only does Nagasaki have a comprehensive tram network stretching north, south, east and west, but the trams add immeasurably to the retro charm of this too often overlooked city. The company was founded on August 2, 1914, while the tram line was opened on November 16, 1915. The company and the lines are commonly known as Nagasaki Electric Railway (長崎電鉄 Nagasaki Dentetsu). There are five routes regularly in service over one or more lines. Route 2, however, only runs once a day late at midnight. 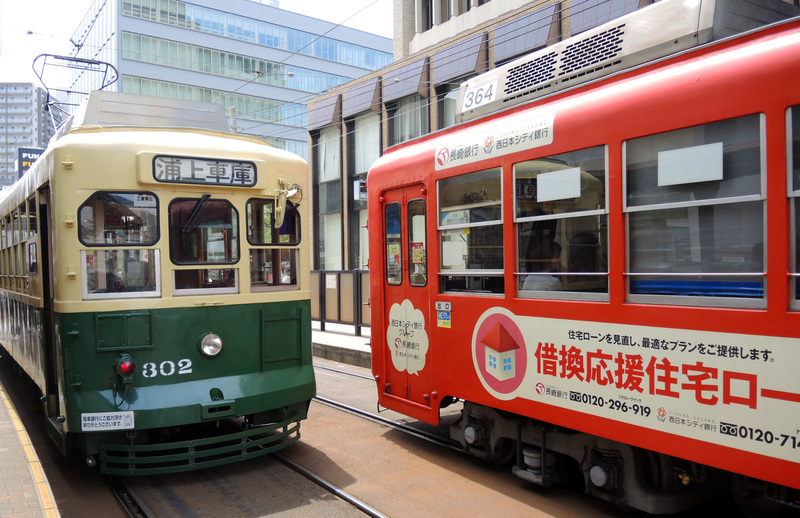 The current fare is ¥120 for adults and ¥60 for school aged children. The fare is a flat rate. Note: Fare boxes do not provide change. You must use the correct fare. However, money changers are provided inside all trams. Note: the larger ¥5,000 and ¥10,000 bills are not accepted. Alternatively, you can pay using a One Day Pass or smart card. The trams run on 5 lines (although one of the lines – route 2 – runs only once at midnight or on special event days). Each route is colour-coded, and as well as names, all stops are numbered making it easy to identify trams, lines and stops. There is a number sign on the board at every stop, circled in the route colour. 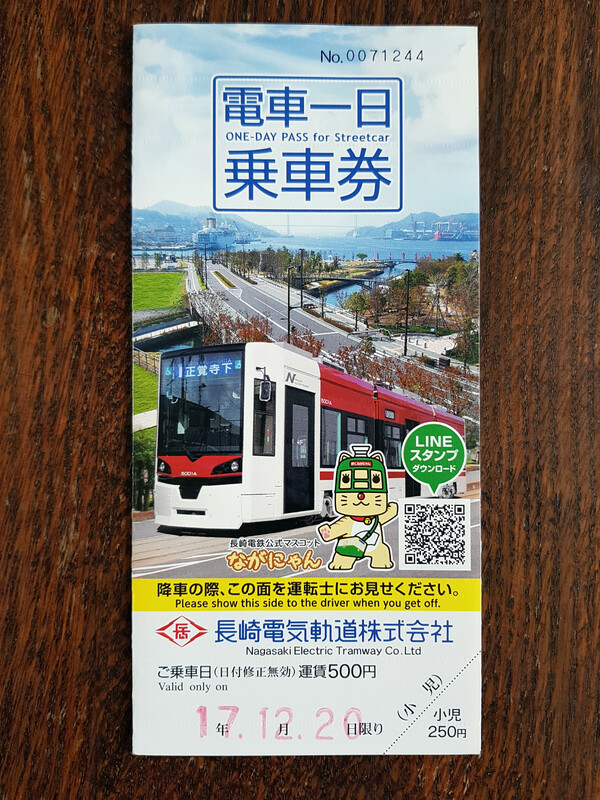 The Nagasaki Electric Tramway Company sells a One-Day pass costs ¥500 for adults and ¥250 for children, providing unlimited use between 6:10am and 11:40pm on all lines. Given that the regular single ride fare is ¥120 and ¥60 respectively, you need to make 5 rides or more for it to offer better value. 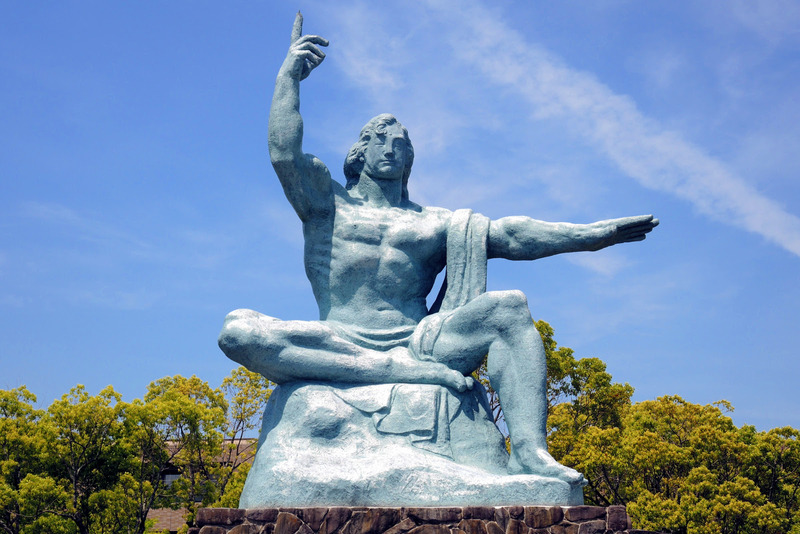 Five rides is easy in a day of sightseeing in Nagasaki. One-Day passes cannot be purchased on trams – you have to buy in advance from Tourist Information Centre located on the ground floor of JR Nagasaki Station. Passes are for individual use only – they cannot be shared. 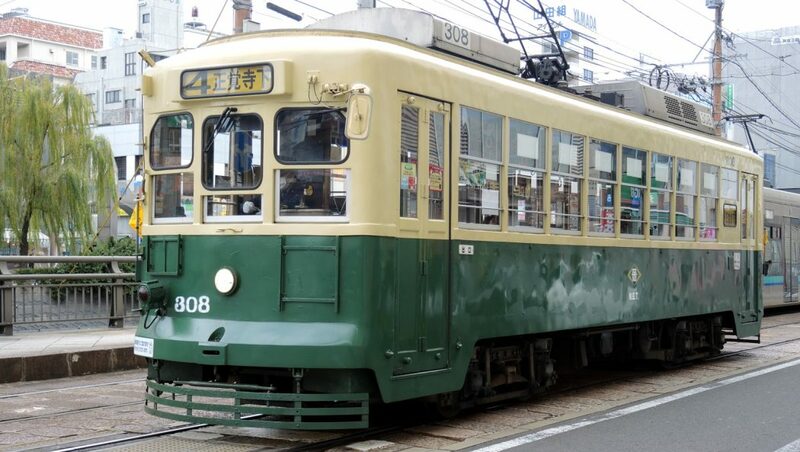 You can download a handy, printable PDF guide to Riding Nagasaki Trams here. 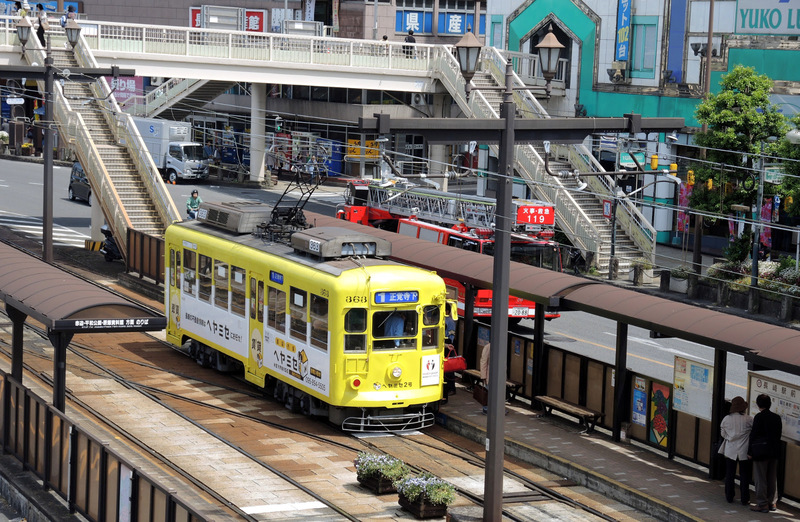 Nagasaki is well-suited to sightseeing by tram. All the lines, excluding Route 2, stop near major sights and the main tourist areas are also well-served. Honestly, whether you are a fan of trams or not, you only need a One-Day Pass and your feet to see pretty much everything Nagasaki city has to offer. 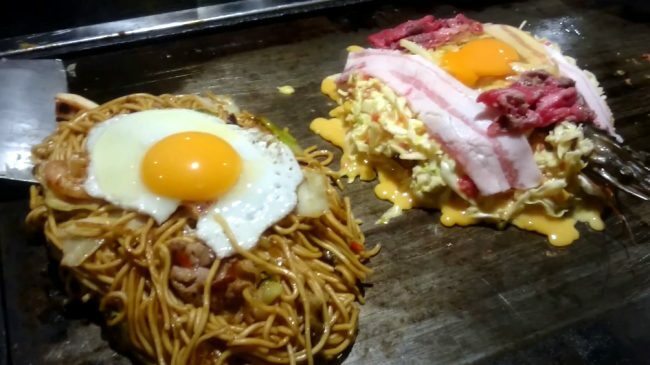 If Nagasaki isn’t already on your must-visit list, I strongly recommend adding it. 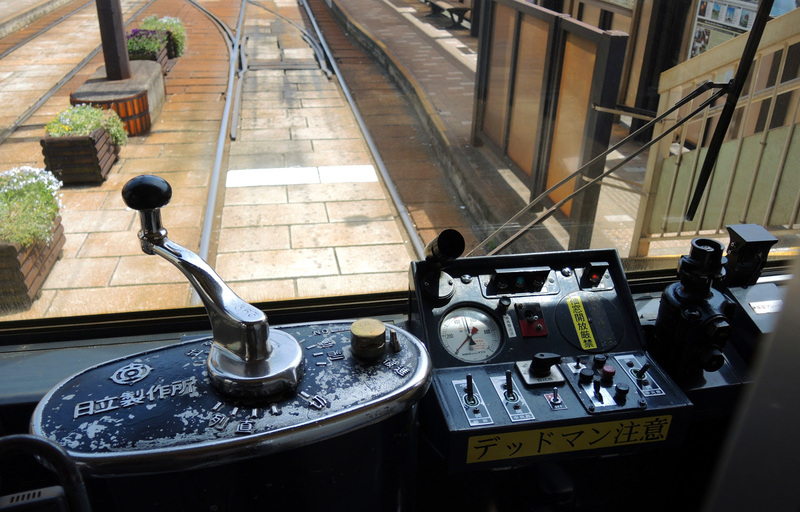 Have you ever ridden on the Nagasaki Electric Tramway, or a tram anywhere else in Japan? If so where? Please tell me about it by leaving a comment below – I love trams!